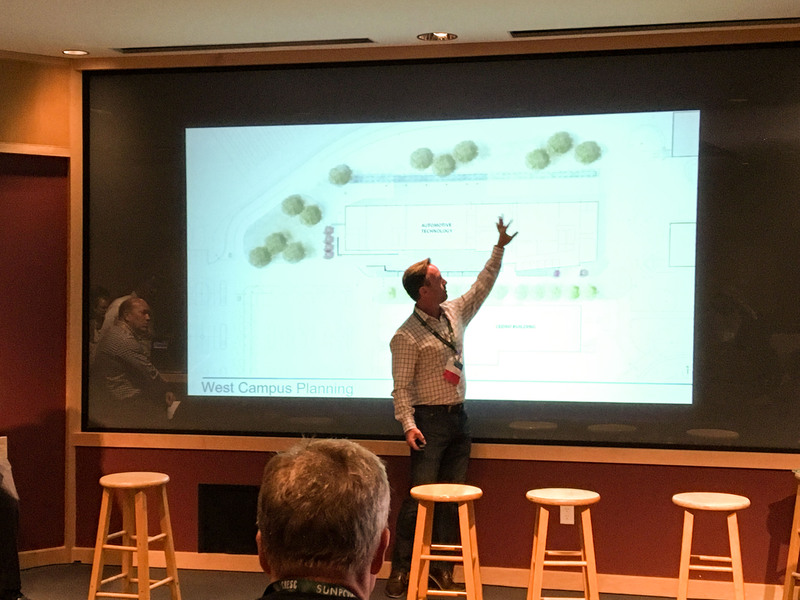 Higher Education Leadership Jonathan McMurtry and David Younger attended the California Higher Education Sustainability Conference (CHESC) yesterday. 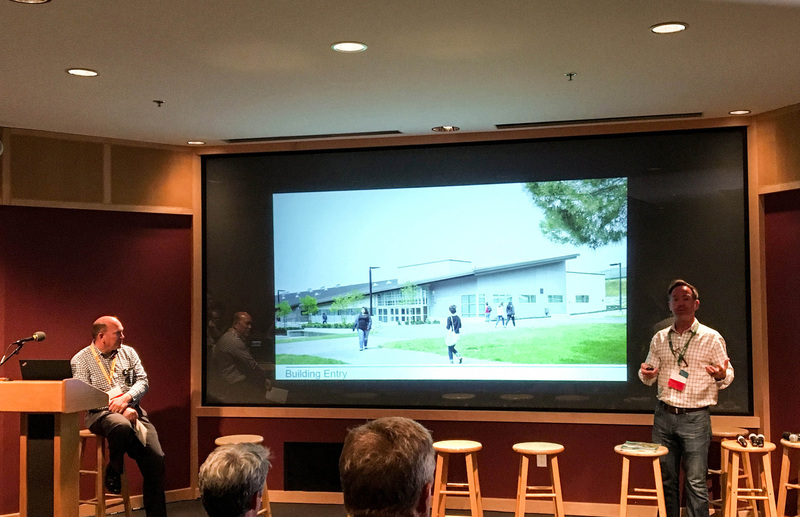 After a rigorous selection process, Jonathan was chosen to give a presentation on one of Lionakis’ LEED Platinum projects: The San Jose-Evergreen Automotive Technology Building. 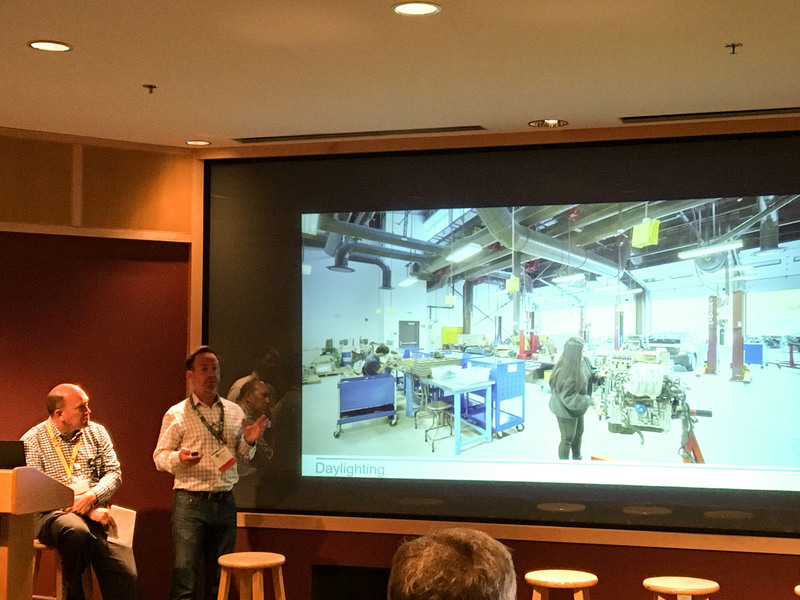 The title of the presentation was “State of the Art Technology + Sustainability = State of the Art Students!” and it highlighted how we leveraged strategic decision-making with State of the Art Technology and Sustainability to create a State of the Art Building. The new Automotive Technology Building is equipped with daylit vehicle bays, natural ventilation, advanced diagnostic computer systems and the latest vehicles for hands-on learning opportunities. It is one of the most sustainable community college projects in California.